You won't seen this angle anymore. This was back when there were empty lots at Waimea Bay. 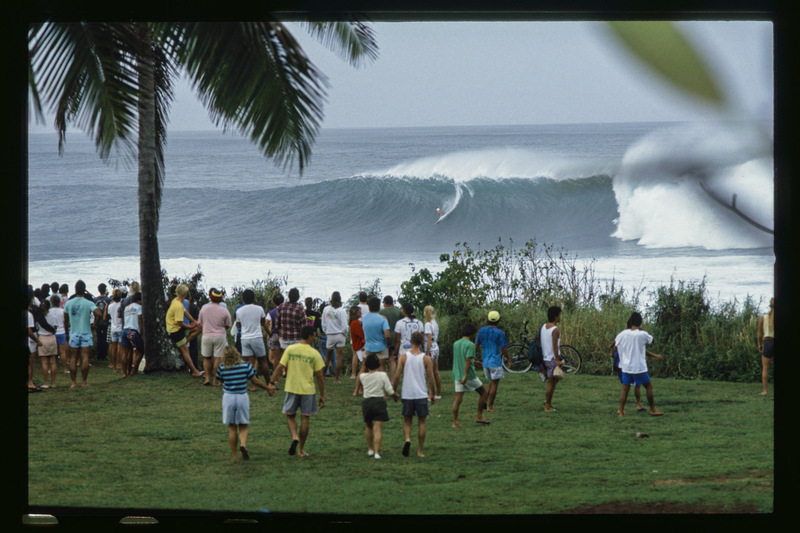 I shot this during the 1990 Eddie Aikau Invitational contest. Kioni Downy would go on to win the event.